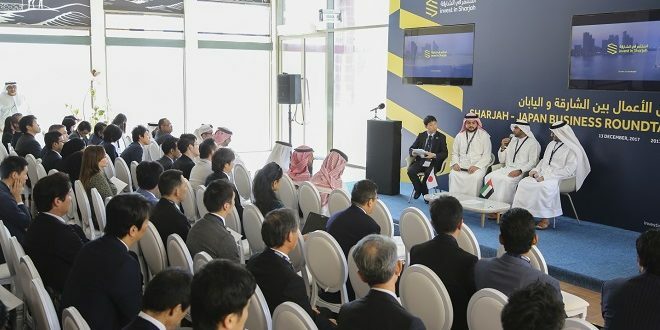 As Sharjah continues its extensive drive to build a wider global base of economic allies and investors, government entities, expanding enterprises and private businesses from Japan and Sharjah met recently to discuss latest investment opportunities in the rapidly diversifying economic milieu of Sharjah and the UAE. For the first time an international business meeting was brought to a site of immense historical importance in the region – the Mleiha Archaeological Centre – a flagship project of Sharjah Investment and Development Authority (Shurooq). The roundtable was hosted by Invest in Sharjah in collaboration with Japan External Trade Organization (JETRO) to explore new commercial avenues. The meeting highlighted the past successes between UAE and Japan, which includes $25 billion (Dh91.8 billion) worth of business last year, representing 32 per cent of Japan’s entire trade with Middle Eastern countries. Building on the success of the first Sharjah-Japan Business Roundtable, which was held in April 2014, this second roundtable served as a key networking platform, which brought the two parties together to shed light on the progressive business developments and investment achievements between Sharjah and Japan, in addition to share insights on how Japanese investors can diversify their business in the emirate. Among the representatives taking part from Sharjah Chamber of Commerce and Industry (SCCI), Sharjah Economic Development Department (SEDD), Sharjah, Shams – Sharjah Media Free Zone, the Research Technology & Innovation Park under American University of Sharjah Enterprise , Bee’ah – Sharjah Environment Company, Sharjah Electricity and Water Authority and Sharjah Healthcare City all showcased their potential as working partners. “Sharjah is special in the UAE as it commits itself fully to multiculturalism – a great quality that enables foreign investments to swiftly run their businesses. This is a reflection of the vision and determination of His Highness Sheikh Dr. Sultan bin Muhammad Al Qasimi, Member of the Supreme Council Ruler of Sharjah, who said, ‘multiculturalism and the harmonious exchange of ideas are the solid foundations of a successful future ’,” he added. With more than 50 registered Japanese companies currently operating in Sharjah, dealing with products and services as varied as manufacturing and renewable energy to food and retail, the spectrum of sectors is increasing in line with the dollar value of investment. The Japanese members of the roundtable included trade delegates, entrepreneurs and officials from globally recognised companies such as Nittosha Co. Ltd., Shokkyo Co. Ltd., Adaptex Co. Ltd., Crystal Process Co. Ltd., Yoshino Denka Kogyo Inc., Ishida-Kosho Co. Ltd., have witnessed a surge of interest in a variety of UAE industries, for example security and defence, science and technology, education, medicine and space exploration. Presenting the unique opportunities and incentives, which make Sharjah one of the most attractive investment destinations in the region, the roundtable hosted a panel session titled “Investment Opportunities in Sharjah” which saw the participation of Mohammad Jumaa Al Musharrkh, Director of Invest in Sharjah; Ahmad Al Suwaidi, Head of Commercial Investment Section of the Sharjah Economic Development Department (SEDD); and Shihab Alhammadi, Authority Director of Sharjah Media City (Shams). The panel discussion was also moderated by JETRO MD Masami Ando. The other panelists reiterated by saying that these bodies not only scout for new and relevant business opportunities for foreign investors, they also protect the rights of the investors, including intellectual property. Their focus is to continue assisting investors with value added services like financial networking, IT and HR for these to thrive and grow, which gives them the competitive edge to grow and excel quickly. 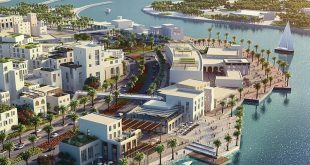 “Investors come in looking for business opportunities, and a significant number decide to eventually settle here not only because we provide them a competitive edge by reducing operating costs by over 35 per cent compared to other emirates, but because our approach to business is family oriented. It is one of the most effective ways to retain investors and grow fruitful, long-term relationships,” said Al Suwaidi. The roundtable, which concluded with a question and answer session and a presentation by a few of the participating Japanese companies, is the latest in a series of missions by Shurooq and Invest in Sharjah focused on introducing the emirate’s most appealing business developments to a wider overseas audience. The UAE is also the second-largest crude oil exporter to Japan, accounting for 22 per cent of the country’s total crude oil imports and with the UAE ranked third among importers of Japanese vehicles in 2015, the partnership is stronger than ever.